We are currently accepting applications for Management Development Program Trainers. Read the full position description and find out how to apply. As working international education managers with decades of international education management experience, the MDP Trainer Team is uniquely qualified to facilitate this program. The team is particularly adept at drawing on each individual participant's experience to enhance class learning. Linda Drake Gobbo is currently a professor in international education, after having served in several dual administrative and teaching roles over the span of her career. Gobbo teaches strategic planning, internationalization at the organizational level, curriculum development, and multicultural group processes at SIT Graduate Institute (School for International Training). She has designed and implemented faculty-led education abroad courses in intercultural communication to Morocco, Turkey, and most recently to Costa Rica coupled with a teachers of English to speakers of other languages (TESOL) certification program. She holds an MBA, a master's degree in education, and a TESOL certification, and has lived and worked in the United Kingdom on several occasions. Gobbo annually consults on these topics as well, and is active in NAFSA leadership. 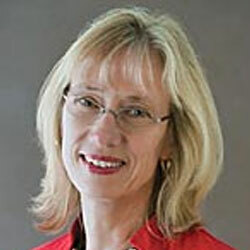 She was one of the lead designers and facilitators of NAFSA's Academy for International Education; served as the first chair of the Teaching, Learning, and Scholarship Knowledge Community; was a representative on the Subcommittee for Information Management; and chair of the Training Coordination Subcommittee. Recently she was honored to receive the Sally Heym award from Region XI, which honors a colleague who has made outstanding contributions to the field of international education. Dulce Amor L. Dorado is the Director of the International Students & Programs Office and Assistant Dean of Global Education at the University of California San Diego. Her 20+ year career in international education has included a variety of responsibilities such as leading a comprehensive international student service office at a large, public institution; advising international students in English language programs; advising study abroad students pursuing year-long, semester, or faculty-led programs; teaching English at a public high school through the Japanese Exchange & Teaching (JET) Program; coordinating institutional partnership development and relations; and developing innovative programs to retain and engage international students in campus life. Her bachelor's degree is in Political Science from the University of California San Diego. She has presented at numerous NAFSA national and regional conferences on issues of recruitment, engagement, academic performance, regulatory compliance, cultural integration, data analysis, and retention of international students. Karen Lokkesmoe has decades of experience crossing boundaries and cultures. She has lived and worked in four countries, is tri-lingual, and has traveled to 63 countries. Lokkesmoe has taught leadership and intercultural competence development at the graduate level since 2001 in leadership, business, and industrial organizational psychology departments. Her specialization is in global leadership, focusing on ways to build global skills that enhance a leader’s effectiveness when bridging cultural divides. Her master’s degree is in public leadership and management from the Humphrey School of Public Affairs, and her doctorate is from the University of Minnesota’s Department of Education and Human Development. Her dissertation, which won the Dissertation of the Year Runner Up award from the Global Leadership Advancement Center, focused on perspectives on global leadership from leaders from Brazil, India, and Nigeria. She has presented at many national and international conferences and won awards for publications in business, human resources, leadership, and management publications. Lokkesmoe led the Humphrey Fellowship Program at the University of Minnesota from 2003-2007 and has remained connected to the fellows here and abroad. She has served on numerous non-profit boards and is a founding member of the Society for Intercultural Education Training and Research (SIETAR)-Minnesota group where she continues to hold a leadership position. Amy Ramirez is the director of the Office of International Services (OIS) at the University of Maryland-Baltimore (UMB). Ramirez has 14 years of experience in international student and scholar issues. She leads the OIS and UMB Writing Center’s staff in the provision of services and programs to support UMB’s international community. She has previously held a number of volunteer positions in NAFSA, including serving as the International Student and Scholar Services Knowledge Community (KCISSS) representative and local arrangements chair for NAFSA Region VIII; facilitating workshops for NAFSA members; and presenting in sessions at regional and national NAFSA conferences. She holds a bachelor’s degree in Spanish language and literature from the University of Maryland-College Park, and a master’s degree in international education from The George Washington University. Ravi Srinivas currently directs the graduate program in liberal arts at the University of St. Thomas- Houston. He previously served as the Associate Vice-President for Academic Affairs and in other administrative and academic for the past twenty-five years. As the SIO for six years, he represented the university on three different international consortia and served as the executive director of the International Council of the Universities of St. Thomas Aquinas for three years. His other leadership positions include- Regional Vice-President of the North American Association for Summer Sessions, Board Secretary of the Academy of Board-Certified Environmental Professionals, and member of the Board of Trustees, SUNY College of Environmental Science & Forestry. Ravi served as the FPA for the Fulbright Student Program and a reviewer for the Gilman Scholarship Program. He successfully completed the NAFSA Academy for International Education training program, Class 9. He served on NAFSA’s Leadership Development Committee. An experienced consultant and trainer, Ravi works with colleges and universities in the US and abroad on matters of campus internationalization, partnership and capacity building, and international recruitment. Ravi has a master’s degree in MA in Environmental Studies from Baylor University and a PhD in Environmental Science from the SUNY College of Environmental Science and Forestry. 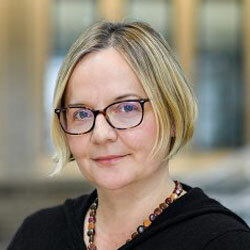 Mladenka Tomasevic is the senior associate director for international students at Princeton University. She has been in the field of international education since 2004, working at both public and private institutions. She has previously held a number of volunteer positions in NAFSA, including serving as the New Jersey State Representative on the NAFSA Region X team, a member of the International Student Subcommittee and facilitating workshops for NAFSA as a Trainer Corps member. As a NAFSA member, she also participated in the Baden-Württemberg Seminar in 2013. She holds a bachelor’s degree in international relations from the University of Belgrade, a master’s degree in communication from Washington State University, and is currently pursuing a graduate certificate in international education management through SUNY, University at Albany.